New York have lost four position players since the start of spring training in Giancarlo Stanton, Aaron Hicks, Miguel Andujar and Troy Tulowitzki, and pitchers Luis Severino, CC Sabathia and Dellin Betances. The Yankees had played six games coming into Thursday's matchup with the Baltimore Orioles. 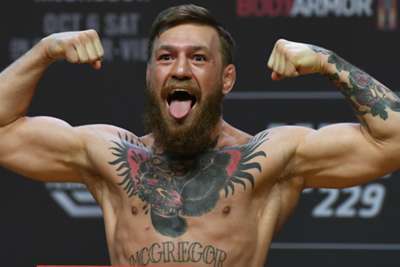 Let's be honest, no one believed Conor McGregor when he said he was retiring in March. Whether this is because he got what he wanted from the UFC or he was just really mad at Khabib Nurmagomedov saying he was like a jealous wife, is unclear, but the fact is he is back, to absolutely no one's surprise. Duke's season is officially over as it lost to Michigan State in the Elite Eight on Sunday. Players to have already declared this year are Murray State's Ja Morant, North Carolina's Coby White and LSU's Naz Reid.